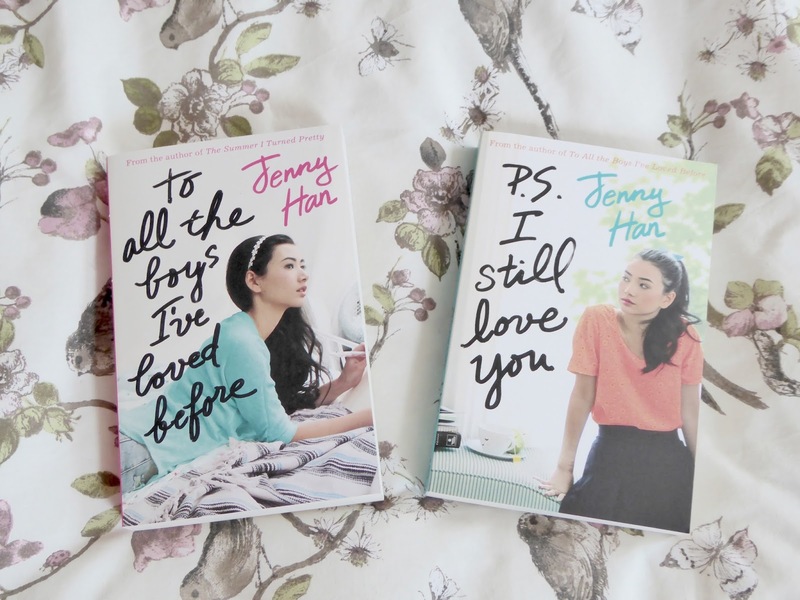 I think it’s fair to say that I am VERY late on the Jenny Han bandwagon. It’s also fair to say that I am very happy to finally be on it, having read both To All the Boys I’ve Loved Before and PS. I Still Love You, and I can’t wait for her future releases now that I am. I absolutely loved this book series. I didn’t know a lot about the series before I started it, in fact all I knew was what I’d read on the blurb. I’m a big lover of Young Adult fiction and I get through quite a lot of it on a yearly basis, so I kind of expected it to be the same old teen romance story, but I was pleasantly surprised to find that that was definitely not the case. I ordered both books in the series at the same time (wise choice there Hollie) so that I wouldn’t have to wait for the next to arrive from Amazon (or rush into town to Waterstones) between reading. The story itself started off a little slowly and I took a little while to get through the first few chapters. After that, I just sped through it. The premise is pretty simple- letters that the main character, Lara Jean, wrote to boys that she liked are mysteriously delivered to said boys. These letters were, obviously, never intended to be sent, and she finds herself in a very awkward situation where she has to navigate her way through the repercussions. It follows the romance between herself and two of the recipients (awkwardly, one being her sisters incredibly recent ex-boyfriend) and a very bizarre situation where she finds herself in a fake-relationship with her 8th grade crush. The novels follow the relationship between her and her two sisters, as well as her relationship with Korean culture. Her eldest sister, the reliable and organised Margot, moves to St Andrews in Scotland for university so she finds herself in a position of responsibility for the first time in her life. I have to admit that I much prefer the youngest sister, Kitty, to all of the other characters as her character is just hilarious and I’d love to read more about her in the future. Her character was very black and . The second book follows on from the events of the first, and focuses on the responsibilities and issues that come with a real-life grown-up relationship. I didn’t enjoy it quite as much as the first, but that’s not to say that it wasn’t a good book. The first was just so wonderfully beautiful that there was no way a sequel could live up to it. The second did a hell of a good go at trying, though. I love the intricate details of the relationship between Lara Jean and her sisters however the relationship between Lara Jean and Peter was a little bit more difficult to feel positively towards. I appreciate that at the age of 16, relationships are difficult and it’s incredibly easy to be jealous and self-conscious and insecure. I’m nearly 22 and I still occasionally feel out of my comfort zone as far as my relationships are concerned. It’s incredibly easy to see something innocent and interpret it as something more, and this is exactly what Lara Jean does with regard to the friendship between former lovers Peter and Genevieve. I feel as though this could have been explained a little bit better, as her jealousy was presented as being something that is okay, where is definitely wasn’t healthy. On the other hand, Han did a wonderful job of explaining how it was Lara Jean who had the problem as opposed to Peter, which definitely overrode the unhealthiness of the jealousy. I honestly can’t rave enough about this series and I recommend it to anyone who loves contemporary young-adult fiction. I’ve since purchased the “The Summer I turned Pretty” trilogy so I’m really looking forward to getting my teeth into that one in a few weeks time.